Today’s #selfcare challenge for @theblurtfoundation is #breathe The older monkeys have been away for a couple of days, so stress levels have been significantly reduced in their absence. The house remained tidy after a post breakfast clean. I got washing on and out. I took a walk with Little Miss. We napped in the afternoon and had a quiet dinner. From the moment the big monkeys returned the house descended back into chaos. Within minutes my parental anxiety was twitching at the edges of my consciousness. Anxiety is “a feeling of worry, unease or nervousness about something with an unknown outcome”. We will all experience episodes of anxiety in our lives. This can range from small manageable episodes, through to a full blown panic attack. For some, anxiety is a daily, overwhelming battle. Before having my monkeys I have experienced episodes of stress and anxiety related to work or debts. However, since falling pregnant with TM, I have an almost daily encounter with anxiety. At one point this was so overwhelming that I became too afraid to leave home and engage with the world fully. I still make decisions about invites and activities based on what might happen and how I will cope. In preparation for this post, I googled “parental anxiety” and it would appear to be a real thing. The descriptions mostly discussed the phenomenon of helicopter parenting, a constant fear that a child will be harmed or become upset. In my case it is different. I am a generally laid back individual and I try and apply this attitude to my parenting. I always push my monkeys to do their best but in an encouraging rather than forceful manner. If they are fighting, I allow them space to resolve their own arguements. When something goes wrong, I try to apply logic to find a solution. Herein lies the problem. Logic doesn’t apply to the wrangling of monkeys. My anxiety has its roots in several actual, real events, non of which had a logical outcome. These include my extreme sleep deprivation following TM’s birth, numerous tantrums that have rendered me powerless in public, and MM’s disappearing acts. Each one has left me feeling out of control and frozen with fear. Fear of losing my temper, losing them, or damaging them in some way. I do not condone what happened but I can understand how the American family lost their 4 year old in the gorilla enclosure and the Japanese man who snapped and left his son in bear infested woods. Desperate to teach them, in the face of their defiance, our responses can be equally illogical and out there. I myself has undertaken reckless behaviour on occasion. I’ve left a tantruming child on the side of the road, in a hopefully safe place, got in the car and started the engine, just to try and diffuse the situation. Then I sat there in total panic muttering “please don’t run away, please don’t run away”. This has only ever been a last resort and not something I recommend. I have to wrangle three of them at once. If they are all going in different directions I have to decide on the spot who needs saving first. The one strapped in the pushchair screaming, the one on the floor tantruming or the one running away at speed? Thankfully, none of these episodes have ever ended in disaster. To date, I have always hung on to sanity by my fingernails. Sadly though, I now have to live with the consequences. I make all my decisions about days out, trips to the shops, agreeing to overnight stays and holidays, following a full, mental risk assessment. Not just about the event but also the possible aftermath. I can’t bear too much upset in our routine because a bombardment of bad tempers on a sleep deprived mummy never leads to a happy place. Even the hint of an illogical monkey episode, starts my heart pounding, knots forming in my stomach, sweating and needing to wee. Afterwards I feel light headed and dizzy, sometimes overwhelmed with guilt. I just want to cry, run away and hide. I have never been diagnosed with anxiety, this is because until I got a handle on the problem I could not see that I had one. This is so often the case. Too ashamed that we cannot cope, many of us fail to seek help. In some cases help comes too late. Don’t be fooled by the elegant swan, gliding on the surface of a lake, their legs are desperately treading water out of sight. To regain control I have developed a number of self care techniques. The quiet part of my brain is one of them. I moment of pause amongst the chaos. A place to clear out all the fear and worry and focus on positives and solutions. My runs are full of reflective thoughts, where I analyse episodes and develop techniques to try next time. Ways to stay in control and keep everyone safe. I plan more and accept that sometimes being flexible is essential. It is important to remember that the perfect image in your head is not real, so never be disappointed when it doesn’t materialise. So today, I will be taking time to breathe. 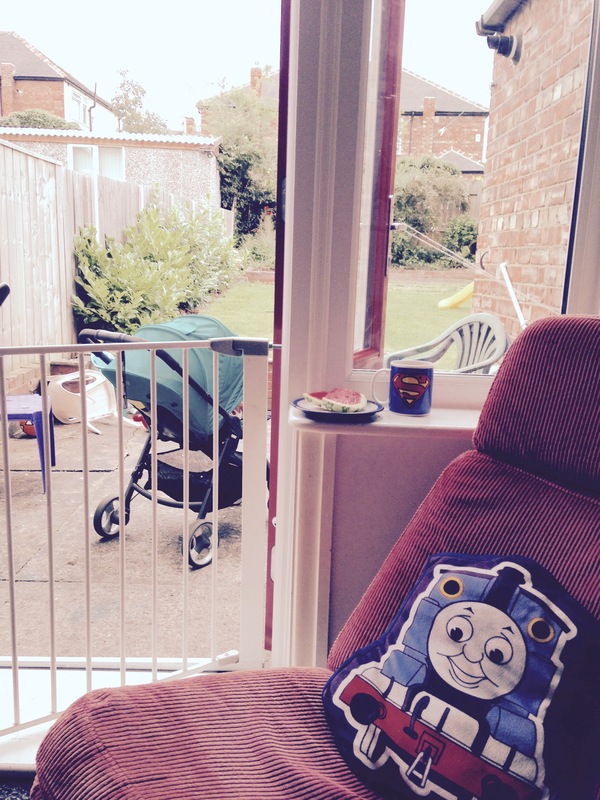 Little Miss fell asleep in the pushchair in the garden, I plugged the big monkeys into their iPads, made myself a healthy snack and a cup of tea. Then, I sat in my favourite comfy chair, next to the open door and breathed fresh air in and out of my lungs. I closed my eyes and visited the quiet place in my brain. Remembered, the quiet little room and the peace and quiet. Then I wrote to you. Anxiety is real and scary but it can be managed. It never goes away but you can take control of it. Your feelings are nothing to be ashamed of and it is ok to be fearful of them. Over time, with small steps, little achievements and courage, it can be accepted and managed. Recovery just takes time and an acceptance of support from others and self care. I think we always have a little parent anxiety, but I guess the thing is to keep it under control and allow our children some freedom. I can imagine that it can be scary if it’s not under control. I’m definitely one that suffers parental anxiety, when my older kids were younger (And I was younger) I’m sure I was more relaxed that I am now with my little ones. This is a great post and I’m sure it will help many anxiety sufferers. When I had PDN I really suffered badly with parental anxiety. So much so that I had to have treatment. I think we need to all learn to be more gentle on oursleves. For years I have not done things or done it in a completely different way as I knew the anxiety I would have from doing things in the standard manner. I think many of us spend our days just getting through. Cass Bailey recently posted…Free Benefit Dew The Hoola and more August Magazine Freebies…. Kara Guppy recently posted…Potty Training 6 Weeks In! What a brave an honest post and you will be an inspiration to other anxiety sufferers out there. You are right, we often don’t seek out help or realise how bad it actually was until we are safely out of it – I can relate to that too. 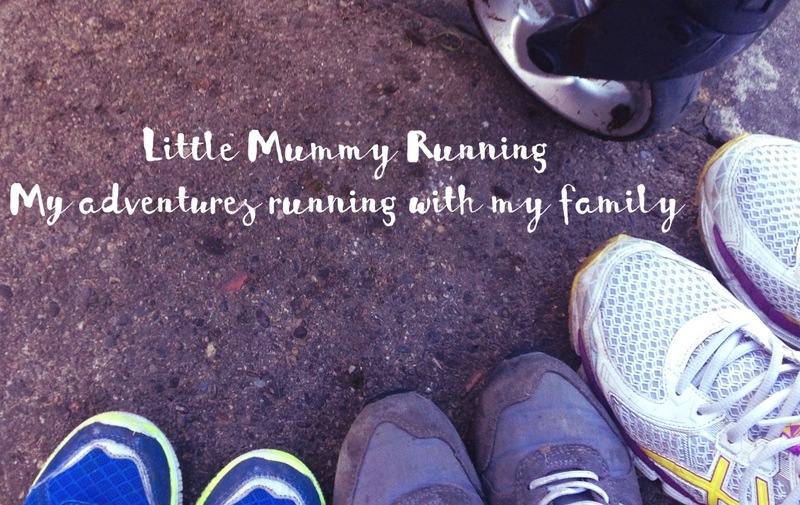 Thankfully you have found your way to cope – being quiet and running – I too love to run and find that I use the time to reflect and process, as the rest of my life is so busy, it is my little slice of me time. I think I too would suffer from parental anxiety, I think it is natural and par for the course.